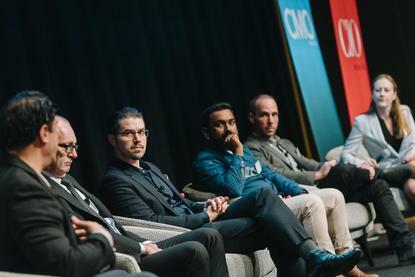 Brand digital and technology executive gathered at the CMO-CIO Executive Connections event in Sydney to discuss how they are using AI and humans to improve experiences for their customers. Artificial intelligence (AI) might be the current marketing buzzword, but it shouldn’t be implemented for the sake of it, or be used to replace humans for customer experience (CX). Rather, AI is facilitator for a better CX. This was the overall theme at the CMO-CIO Executive Connections event in Sydney last week. The panel discussion featured Mitchell Klassen, head of technology at Big Red Group; Kshira Saagar, head of analytics and data science at The Iconic; Damian Madden, general manager digital at The Woolmark Company; Bora Arslan, chief analytics officer at IAG; and David Bray, regional VP sales A/NZ at PROS. Madden said the Woolmark Company uses AI internally for staff, to better educate and help them answer questions faster. “But for us, AI is about understanding our customers, what they want, and what they don’t know they want yet. We look at how we can use it through our entire supply chain to create new products, better integrate, and even create better fibres,” he said. Saagar said The Iconic doesn’t use the term AI, rather it is just about using data. “We are using data to better link humans to do human things, and computers to do computer things, in order to make everyone’s life better. It is used for augmenting, automating, and homogenising decision making, all the way through to the supply chain, so as ultimately to make our customer’s lives better and personalising the shopping experience for them,” he said. As Klassen pointed out, Big Red Group is in the experience business, and is using AI to understand customers better in order to make more informed decisions. At PROS, AI capability is used to look through sales over a long period of time and to serve opportunities to the sales representatives for customers via its platform, Bray said. While all the brands are successfully using AI as facilitator to CX in some way, all were quick to say that before implementing AI, business must get their data right first. Bray also pointed out the AI model is only as good as the data it is fed. “The whole process of having human feedback and critique on that data is very important, as that is how the AI learns,” he said. Klassen agreed, saying before the experience marketplace could consider running any models, it had to get the data right. “We needed to invest in the right platforms. We needed to get our data right, we needed to upskill to use the platforms, and build our data science team, before doing any AI,” he said. Arslan added the biggest challenge is integrating legacy systems and standardising data to present a clean, unified view of the customer. Madden said AI is not the silver bullet some people claim it to be, but it can provide valuable insights to human teams, faster. “We scrape publicly available data with AI and ML to influence next-generation fashion trends. Doing this we can piece together and serve real-time insights, which allows our experts to provide recommendations," he said. "We use it to find out how people are feeling about something, what they want, and what will make their lives better looking forward. ML provides us as close as we can get to an answer." According to Arslan, two key elements lie behind implementing AI: authentication and understanding the customer. "You need to identify your customers at every touch point. The big vision for AI and ML is creating a multifunctional platform so we can know our customers better than anyone else,” he said. “We need to understand what our customers’ needs and wants are, and map those customer needs and wants with what we have to offer. If you are not offering those needs, then you can create new products, and deliver it all to your customer on a personalised basis to create trust. When used appropriately, AI can indeed have a positive impact on revenue and CX, panellists agreed. Bray said the business case for AI for him is increasing top-line revenue by segmenting customers and ensuring the right customers and being serves with the right product at the right price. Klassen has also enjoyed some quick wins from AI. “We experienced a 750 per cent increase in Facebook conversions,” he said. Finally, Klassen's final note was to recognise ML and AI as just tools to enable CX. "It’s the people that create the use cases and assets and processes. We always remind ourselves that every other stakeholder in the business is our customer too, so we help them so they can in turn serve their customers better,” he said. Madden added AI can be small and niche, it doesn’t have to be a big thing. “Apply it to strategic spots,” he recommended.